It is often ignored that aromas can change our mood and the way we think; such a simple way of aiding our emotional system, yet really over looked. The sweet smells of spring and summer conjure up feelings of hope, aspiration and happiness, whilst Autumnal scents in the air, prepare us for hibernation and feelings of cosiness. When you think about it our sense of smell is working constantly, often to the point where we do not notice them. It is only when a new or strong scent arrives, that our scent buds kick in. There are so many ways in which we can use scent as a therapy; an aid to making us feel happy and relaxed or revived and energised. One of the best ways to conjure up natural smells is using aromatherapy and essential oils. Essential oils are taken from natural plant sources and distilled in order to extract the precious oils. With the distillation process, essential oils will retain their natural scent as well as their natural plant properties. 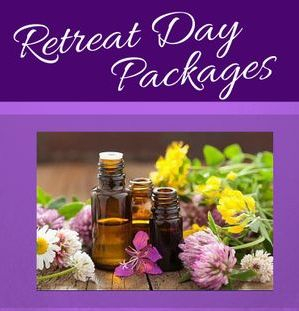 Not only are essential oils great at changing your moods, they are fantastic for treating common ailments and great to add to your beauty products. Essential oils, undiluted are very powerful and can be used to effect the olfactory system in many ways. The first way is to run a bath and add a few drops of essential oil/ salt crystals with oil or even natural fresh herbs and plants. The hot water will release the smell and fill the bath with natural goodness. By taking in long, slow and deep breaths the aroma changes our brain pattern according to the scent we have chosen. For example Lavender and chamomile are well known for aiding sleep and sleep cushions stuffed with these flowers is a natural method to replace sleep ailments. The calming scents trigger the brain waves to change their frequency and slow the body’s processes and adrenaline down. A drop in adrenaline allows us to feel calmer and more sedate. The act of breathing in long, deep breaths also has its effects on the brain. The amount of oxygen inhaled will slow the waves down and clear the mind allowing for a meditative state to be achieved. In order to achieve stimulation and focus, fresh herbal smells or vibrant citrus scents will alert the brain to wake up and kick start your adrenaline for the day; hence why many morning shower gels utilize citrus fruits and minty herbs. The same method can be used but on an intense scale; steam rooms or even a vapour bowl are fantastic ways of inhaling precious smells and the beneficial properties which come with them. I always like to have an oil burner or reed diffuser so that these lovely smells can waft around the house and work; it’s amazing the uplifting trigger they really give a home and the people within. By using products or natural perfumes throughout the day, you can ensure you are in the right mood for whatever comes your way. Mood sticks are a relatively new item on the market, a little like chap sticks, but when applied to the temples, wrists or other major pulse points, will steadily aid your moods throughout the day. Experiments have been created whereby smell can positively affect businesses and work productivity let alone success rates. Aromas within an office environment can manipulate moods and stimulate. Floral scents have been found to be particularly good at this (Welsh, J, 2011). Of course massage with aromatherapy oils, will not only relax you with the scent but also with the flowing movements of the therapist. 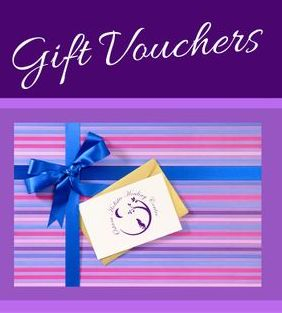 This is such an ideal way to enhance not just your mood but physiological properties too. The oils are diluted with a carrier oil such as almond, grape seed or even jojoba. This allows the circulation not to take on too much of the essential oil’s properties as this could be dangerous to the body. It also allows for glide and softer skin. When you inhale the smell of the room, notice just how much this has an effect on you, as well as the massage techniques and quiet back ground music. It’s powerful to realise that smell itself can act as a powerful stimulant and relaxer to the body, amongst other mediums. When you’re out in nature, be sure to smell the flowers, notice the fresh smell of the air and see how it affects your mood for the day. Be sure to note which smells make you happy and energetic or which ones calm you down. You will certainly notice which smells don’t suit you. Take perfume for example. One perfume will smell lovely on one person and odorous on another. One person will love a certain scent and you may hate it. Smells are extremely individual and that is because they reflect your moods and personality, which are of course all different. Smell affects taste and for those unfortunate enough to have lost their sense of smell, will ultimately lose certain taste buds too. The smell of food will trigger innate feelings of hunger for certain foods and disgust for others. 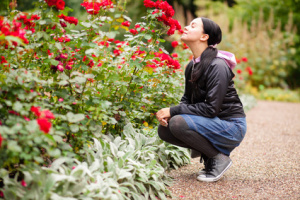 Many people associate certain smells with particular memories and this will affect them throughout their life. The trigger of the nose buds will stimulate our pineal gland, where dreams and memories are created and stored; Melatonin is released creating a sense of well- being, nostalgia relaxation. As such smell has been used as a healing tool for psychological disorders and healing methods. 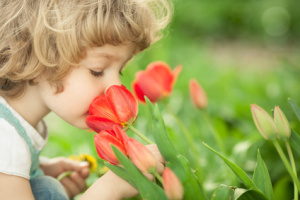 Thus, smell is a powerful tool which if noticed, can immediately help to heal our emotional and psychological body. So next time you forget your nose, stop and physically remember to take a moment to notice what is around you. Vision is a wonderful thing, but smell is also a remarkable sense, which can closely fine tune our emotional and psychological stability. Experiment referenced from: Welsh, J (2011) Smell of Success: Scents Affect Thoughts, Behaviors.Available at: http://www.livescience.com/14635-impression-smell-thoughts-behavior-flowers.html (Accessed: 3 June 2015).